Are you tired of waxing, plucking or shaving? There is an alternative. With the Sciton Laser and Light system, Newman Plastic Surgery provides a safe, permanent hair reduction treatment for all skin types. A series of treatments will reduce most hair permanently. Treatment times vary depending on the size of the treatment area, but since many hairs are targeted simultaneously, the Sciton laser system is often faster than other options. In addition to ensuring your comfort and safety during treatment, there’s virtually no downtime. You can be back to your normal routine almost immediately. Orlando Laser Specialists offer state of the art laser technology solutions for all of your hair removal needs. Dr. Newman located in Orlando, FL can help you get affordable treatment. We invite you to schedule a consultation to learn more. Hair doesn’t have to stand in the way of your looking your best. Unwanted hair is an extremely common concern for many people, whether male or female. Many people resort to traditional forms of hair removal, such as shaving and waxing, to get that smooth, soft skin everyone’s vying for. Unfortunately, these methods lead to unsatisfying results as hairs tend to reappear within just a few days or weeks. To get hair removal results that last, check out laser hair removal. Modern lasers have advanced medical technology and can eliminate any unwanted hair in a fast and safe manner. When you choose to laser your hair away, you’ll get results that last. At Newman Plastic Surgery, we offer laser hair removal to Orlando, FL. The options that we have available to our patients are designed to give them the smoothest, hair-free skin possible. Our state-of-the-art facility comes equipped with Sciton technology, equipment that is designed to provide you with a comfortable experience that results in lasting effects. Our services can be applied to a wide variety of areas. These areas include the common areas of legs, back, face, chest, bikini line, and more. While laser hair removal won’t rid you of hair forever, it can effectively reduce your hair growth. Many people have turned to electrolysis for results. 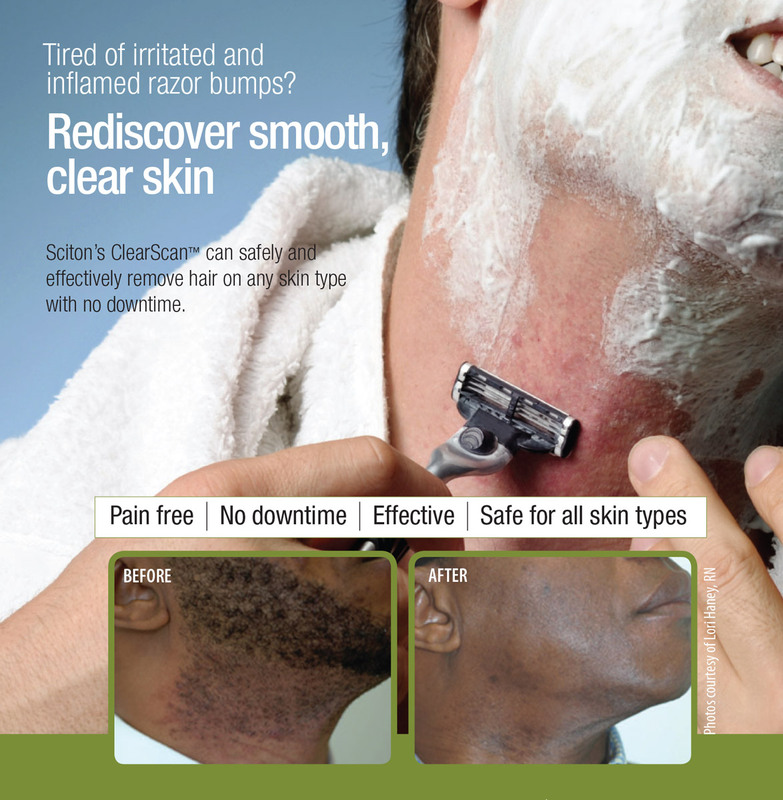 Looking to be facial and body hair free? It can even get you to a point where you don’t have to shave in that area anymore. It’s a great option for people who are tired of shaving and are looking for a long-term solution. While we can’t claim that you will be free of hair forever, we can give you insight into what you can expect. Schedule a consultation. In the meeting, we will go over with you what you can expect. Before consulting our specialist, you should consider your threshold for pain. While the process isn’t anywhere near as painful as waxing, it’s more uncomfortable than shaving. Technicians will numb the area before and after the procedure. This will reduce any discomfort. Plus, as you continue treatment, you’ll find that the process gets less painful. While it takes under a minute to remove hair from some areas, it takes multiple sessions to see lasting results. You can expect to see the results you want in between three to eight sessions. This is dependent on the size of the area you’re getting treated. Yes, the process is long, but it’s all worth it once you feel your baby-soft skin. Are there people it works better on? You also want to consider the color of the skin in the area you want to treat. The pigment of the hair follicle could differ, which has made hair removal difficult in the past. Generally it is easiest for those who have fair skin. However, it’s an entirely viable option for those who have dark skin tones as well. Why Choose Newman Plastic Surgery Downtown? More than ever, people want to make a change in their appearance, and they can. Whether you’re looking to regain that youthful look, correct physical flaws, boost your self-esteem, or generally enhance your appearance, you can achieve your goals through our team at Newman Plastic Surgery. Our entire staff is devoted to giving you the best experience in Orlando. Dr. Newman and the staff will give you a realistic idea of what you can achieve through the procedure and the limits you may face. Not all operations are for everyone, but Dr. Newman’s strength is his ability to find solutions to any issue through his clinical judgments. His history and expertise with plastic surgery enable him to see the whole picture. It helps him determine what operations are best for each individual. By choosing Newman Plastic Surgery, you’re making the proactive decision to enhance your appearance and self-confidence. Our mission is to ensure that you’re satisfied with our service. We are dedicated to making sure that your choices are well-informed. We’ll help you achieve the best results possible, all within a confidential and comfortable setting. We promise to make your choices easy and help along the way. Before your appointment, you want to take the time to prepare for your procedure. Be sure that you protect your skin; don’t use self-tanners or tan at least one week before your appointment. Afterward, do not tweeze, bleach, wax, or thread the treated area for at least two weeks. Sciton is the laser and light system brand that we use for all our operations. Sciton was founded with the intent to provide medical professionals with advanced light sources and lasers for cosmetic purposes. Their systems have different products that are meant for a variety of applications. They are now the standard of care for many with more than a decade of high performance backing them up. Our Sciton laser and light system works effectively to remove all your unwanted body hair. It works on all kinds of skin types and skin tones. It’s the gentler solution to waxing and works without damaging your delicate pores or the structure of your skin. Those wondering what prices are will find a range of answers. When you are considering hair removal, you need a consultation to find out precisely what you will pay. While we don’t exactly offer a free consultation, we offer a $60 consultation that is then applied to your procedure/sessions should you choose to get treatment. Please call our office to schedule your visit at 407 481 9505. Ask us about our hours and availability. The exact cost can vary depending on many factors. Factors that affect the price include the time required to treat the area and the size of the area. If your treatment involves a lot of sessions then, naturally, the rate will be higher. If you’re interested in moving forward, check out our laser hair reduction treatments. We’ll comfortably and safely reduce the amount of hair in troublesome areas. We can help get rid of your hair no matter the region. Whether it’s hair on your underarms, bikini line, upper lip, chest, arms, or legs, we’ve got it covered! Call Newman Plastic Surgery today to schedule an appointment. Let us help you achieve smooth skin that’s long-lasting!